Here we go again. Another cycle of reinvention. All my loved ones have flown the nest. Boo-hoo. Poor me. Even though I learned to be alone after my 2001 divorce, this time it’s different. The young adult daughter, living away from home, has me empty nesting. The boyfriend, relocated to a new job 627 miles away, has me in a commuting relationship. My old man’s dear old dog succumbed to cancer and is no longer in the house either. Melt away into irrelevance by living in the past. Or, explore passions that create new routines. As you probably guessed, I’m going through Door #2. Which is why I pulled my dusty drums out of the basement and set them up in the living room. But our only interaction has been me staring and making little sketches of their silent shapes while the cats curl under them for a nap. The drums remain in repose for one reason. Banging on them feels too loud. More than a decade ago, these beloved percussion instruments were a post-divorce purchase. They made a statement and gave me courage. I was all about I-am-woman-hear-me-roar. While I enjoyed taking a bunch of music lessons, I never found my inner drummer. Instead of wailing away in delirious fulfillment, I felt inadequate, intimidated — too self-conscious for the big, intuitive emotions that drummers release. The sticks made smaller and smaller sounds. Eventually, the plink plinks on the drum heads gave way to silence. The passion had to go somewhere, though. In my case, I headed for the road most traveled of personal betterment. Gym workouts. Healthy eating. Painting and cooking classes. My addiction to self-help books has become a running family joke. Hey, I took in as much happiness as I could. That was then. But maybe, it’s time to fully occupy my space. The mortgage on the house is paid for; no one can throw me out for playing drums badly. And why be judgy? What does “bad” drumming mean anyway? If I don’t do this now, when? When I’m a pile of cremated ashes, waiting for my loved ones to scatter me to the wind? Is that what it will take for me to live free? Guess which wall meme is hers. Drum. Just drum. I’ll help. I knew you would see this post — tx! Good luck! Have fun with your drums. If the drums don’t work out, maybe another musical instrument? I have always wanted to explore photography myself. I am so sorry about your bf’s dog. Charlotte, I think it has to be the drums. It’s the instrument I’ve wanted since I was a little girl. But in school back then, nobody gave the drums to girls. And why not explore photography? If you need to justify it, think of how it can help your blog. You could also write off all the expenses involved in taking photos for your business. And thank you for your sympathy re the dog — he was an angel in real life, and, a real angel now. 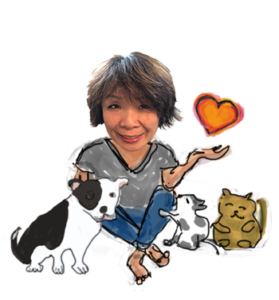 I’ve learned — as I’ve reached the perspective of AARP magazine reader, that helping others, sharing hard-won knowledge or even a phone call, makes me feel better than any self help book. 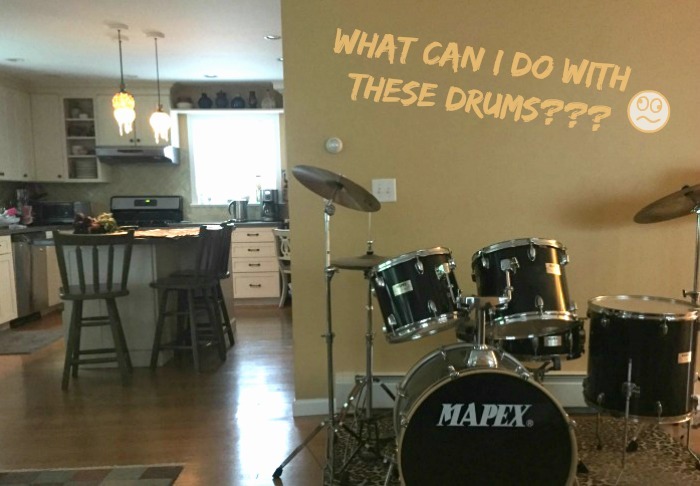 Drumming is great, but if you’re on the fence about it, why not donate the drums to a kids’ music program or the future Ringo down the street? Elizabeth! Thank you for the suggestion — which strikes terror in my heart. I’m not ready to give up the drums yet. But I believe that kids need music and arts education. If we all got more of that, we might all be better off. Which is why there IS a music school that I support financially. Your suggestion gets me thinking, which is important. I appreciate that so much! Victoria, this website is tremendously fun. I can’t wait to get lost in the links and videos. Thank you for the inspiration and for taking the time to leave this link — otherwise, I never ever would’ve found it. I need to loosen up! I’m moving my mother to a nursing home tomorrow and my younger daughter leaves for college Tuesday. I’m thinking of joining a gym and a drum circle. Mary, do both! I love my gym and swear by it. The drumming circle experience is soul-feeding too. Btw, I recently tried a drumming exercise classes. Girl, what a workout! Here’s what you get when you google “drumming exercise classes:” http://bit.ly/2bvfhI4 And good luck with your mommy. After you finish the move, the gym and drumming might be very restorative. Go ahead a bang a gong – or a drum. I am about to figure out being a semi-empty-nester and also need to figure out what to do with some of my new time. For starters, I am planning to hit a few books that I have been meaning to read ” when I have time.” I think that’s now. So very sorry about the dog- he was a cool dude. And I have faith that you will both handle the commuting coupling just fine! Gayle, thanks for encouraging my percussion passion — and for having faith in the relationship. We still miss the old boy. As for reading books, I’m with you. Good luck with your reading and the half-empty nesting. It’s quite a change! Jill, that’s exactly what I’m talkin’ about — the inner drummer has to let loose. And I’m just not there on any level yet. But there’s still hope. Thanks for sharing the link! Drumming is a wonderful release but will not give you the peace you desire. You must commit to more in your life, especially as you are now 60 years old. Happy Birthday! I wasn’t being tactful, Bette. I was being completely, tactlessly honest. We have come to believe that this is a harsh and wrong way of communicating. I understand that you have ethnic and racial stuff but WOULD you call yourself a feminist…first and foremost? Lynne, I’m definitely a feminist. But I also see that I carry so, so much baggage. The journey is all about what you say — committing to more in my life. It’s a daily evolution. How about using the drums as planters and writing your own self help book? You are a terrific writer and have already developed your own niche market. Then there are the book tours, the lecture series, the TV interviews – you will be very busy and productive indeed! Toby, haha re the planters. Well, I guess I shouldn’t give up my day job. And you are definitely reading my mind. In fact, I just finished drafting a self-help workbook that I would like to give away to blog subscribers. It needs more tweaking. But yes, I definitely would like to put the self-help focus to good use. Thanks for the encouragement! I agree with Tobias. Go for it! I love this!! Had no idea you yearned to drum. You need some practice pads or maybe a practice kit. You can wail away on those without offense until BIRD BY BIRD you gain the chops to love your loud version. Get a little metronome, try some technique videos. You’re making ME want to drum.